Finding a tooth cracked is never a fun experience to go through, especially for the first time. A cracked (or fractured) tooth is, however, completely treatable. A common fear among people who find their first cracked tooth is that they’ll be stuck with it. But with the help of cosmetic dentists in Staten Island, you can have your great smile back in no time. Once you get your first fractured tooth, you’re more than likely going to be a lot more aware of what can cause a cracked tooth. Or if you’ve never had a cracked tooth, but you want to lower the risk, then knowing these major causes of cracked teeth will be worth knowing. Do your best to eliminate or drastic reduce the consumption of these foods and beverages from your daily nutrition. While you don’t need to rule them out completely, simply reducing the rate at which you consume them can go a long way. Dental Bonding: uses a special putty that is molded smoothed, and then hardened. After it’s hardened, it can then be further shaped to match the rest of your tooth. 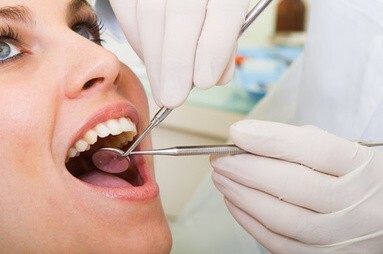 Veneers: essentially a “cover” for the front of the tooth and can last many decades at a time. Crowns: a common restorative treatment, a crown is a type of “cap” that covers the tooth as a form of protection and cosmetic alteration. Crowns are generally necessary for teeth that need to withstand chewing. Root Canal: necessary for tooth damage that goes deep into the pulp of the tooth. Dental Implant: if a tooth is no longer treatable (such as a crack that extends below the gum line), then the tooth may need to be removed and replaced with a dental implant that looks just like an ordinary tooth. You’ll want to make sure that you contact a dentist and schedule an appointment as soon as you notice a cracked tooth, as the longer you wait, the greater the risk for infection or further dental damage. If you’re looking to repair a cracked tooth, contact us at Sola Dental Spa: we are a Staten Island dentist that specializes in helping you repair cracked teeth and will get you your wonderful smile back in no time.